The famed De Halve Maan brewery in Bruges, Belgium has been cranking out tasty drafts for more than five centuries—all from the same historic building. But with its fleet of beer trucks now tying up traffic getting to a new processing plant two miles away, the brewery is taking the only logical course of action: It's installing an underground beer pipe. The De Halve Maan brewery doesn't just produce award-winning 'Brugse Zot' suds, its 500-year-old brewing facility is a tourist attraction in its own right, pulling in 100,000 visitors annually. So it's not like DHM could very well just pick up and move shop simply to be closer to its modern filtering and bottling plant 3km down the road. The firm's initial solution was to build up a fleet of 500 tanker trucks to transport the booze overland, on city streets. 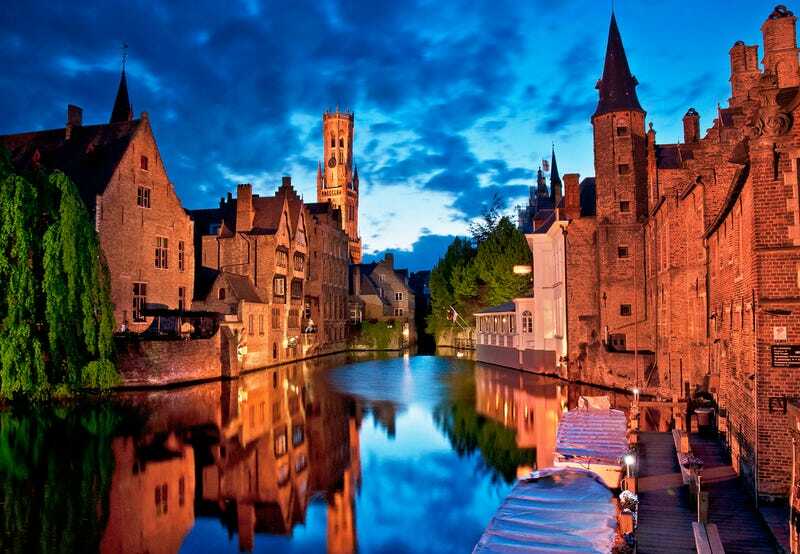 Unfortunately, Bruges' infrastructure isn't built to handle that sort of load, which has resulted in heaps of road congestion, wasted fuel, and increased truck maintenance costs. The new plan, however, takes an entirely different tack: They want to pump the beer underground in food-safe polyethylene plastic from the original brewery to the newer facility on the Waggelwater industrial estate. When complete, the pipeline should push more than 6,000 liters (1,500 gallons) of beer every hour (the trip takes about 15 minutes from end to end) and take all 500 of those tankers off the road (as well as reap the benefits of lower pollution outputs and lighter operating costs). There's no word on how much the project will cost when it gets underway early next year but given that DHM is footing the entire bill—for both the pipeline's installation and its maintenance—it certainly won't cost the Belgian taxpayers a dime. Heck, its installation won't even disrupt morning commutes as the entire pipeline will be carved out using computer-guided drills so as not to tear up the roads.